Rolling for a couple months now, the American Hockey League's Stockton Heat entered the weekend hoping to topple the juggernaut San Jose Barracuda. But after a 5-3 loss on home ice on Friday night, Stockton trails the best-of-five 2-1 and will face a must-win on Sunday in game 4 of the Calder Cup opening round series. The Heat entered the playoffs red-hot. They had to be after a miserable stretch in the middle part of the season that looked like it had sunk their post-season aspirations. "It felt like we had to play playoff hockey for about six weeks before we got to this point, so it's nice to be in," said coach Ryan Huska earlier in the week. "Good on the players for not throwing in the towel when things looked dim." 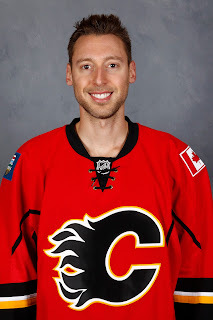 In his third year at the helm of Calgary's minor league affiliate, Huska's first trip to the playoffs comes in the final year of his three-year contract. It's been a season that's had three distinct chapters. The Heat blazed out to a sizzling 16-6-2 start. That was followed by an awful 3-15-3 stretch from mid-December to mid-February. 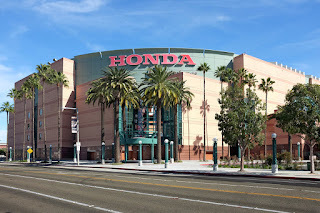 Then, coinciding with getting Garnet Hathaway back on Feb. 21, the Heat promptly snapped a 10-game losing streak and were dynamite the rest of the season, finishing off 15-4-4 to edge out Bakersfield (Edmonton Oilers affiliate) for the fourth and final playoff spot in the Pacific Division. "There are a few things. 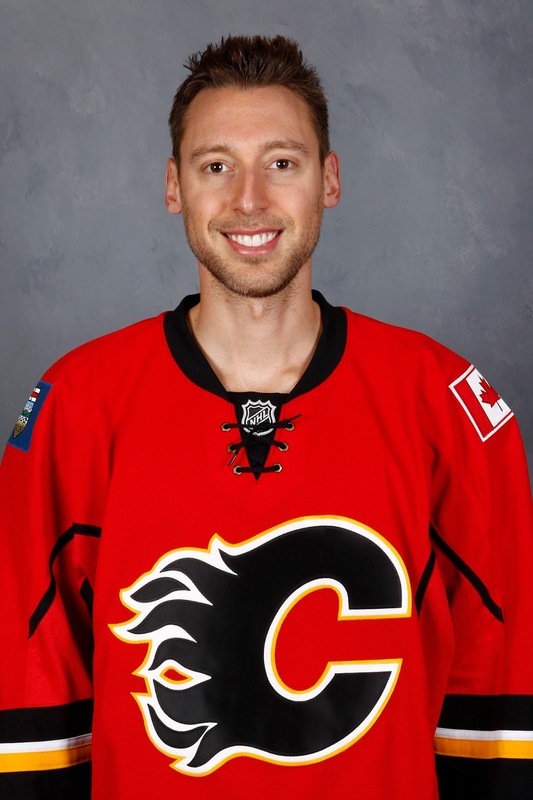 Hathaway was one guy, for sure," Huska pointed out, when asked the reason for the turnaround. 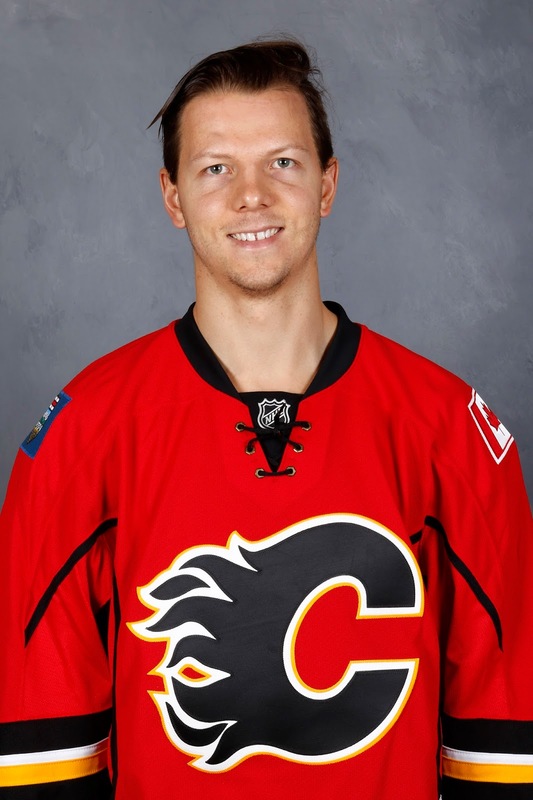 "Getting Brett Kulak back as well, helped us. Those were important factors for our group, getting them back. Hath in particular. He changed the feel of our room." This series pits the best team in the Western Conference in San Jose (43-16-9), who finished second overall, against Stockton (34-25-9), who was the lowest ranked team of the eight playoff teams in the West. "We don't believe we were an 8 seed team coming into it, playing a number 1, we think we're better than that," said Kulak, prior to game 3. A good team already, the Sharks demise in six games to the Edmonton Oilers in the Stanley Cup playoffs wasn't good news for the Heat, who have to face an even better team. From the San Jose line-up that Calgary faced in the final game of the NHL regular season, four forwards have since been reassigned by the big club to the Barracuda -- Marcus Sorensen, Timo Meier, Kevin Labanc and Danny O'Regan, who edged out Mark Jankowski for the AHL's most outstanding rookie. "They have a deep team and those guys are going to make them deeper," Huska admitted. "But it's not going to change how we're going to play against them. It just means another weapon on the other side that we have to be aware of when they're on the ice." Last Friday at SAP Center, San Jose won the opener 4-0, but Sunday was a different story. A nifty goal from Jankowski 90 seconds into the game was the first of four first period shots to beat AHL goaltender of the year Troy Grosenick, who had a 1.30 goals-against average and .946 save percentage against the Heat in the regular season. Additionally, he had turned aside all 28 shots he faced in game 1. "After getting shut out the first game, to break that seal early in the second game just to show that we can do this, that we can get on him, that definitely gave the whole bench a boost," Jankowski says. Austin Carroll at 12:22, Linden Vey at 16:23 and Hathaway at 17:07 also scored in that first period uprising. Hathaway's goal was a beauty. 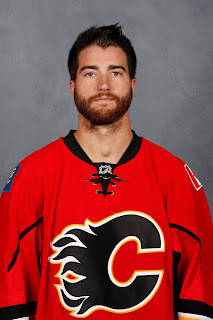 Sprung on a breakaway on a TJ Brodie-esque 100-foot pass from Kulak, the big right winger broke in off the sideboards and beat Grosenick on a slick deke to his backhand. "A lot of people don't realize how skilled (Hathaway) is," Jankowski says about his linemate. "They obviously see what comes to the surface right away -- his grit and sandpaper game, he gets in the face of the other team -- but he has the skill to make plays when he has an opportunity." Hathaway alongside rookies Jankowski and left-winger Andrew Mangiapane make up Stockton's No. 1 unit. They've been together for a while now. "Two hard-working guys, who are really easy to play with," says Jankowski. "They're both very skilled. Mang, obviously, can make a lot of plays, he's a goal scorer. Garnet really likes to get in there, be first on the forecheck, muck things up and help get pucks. When he gets the puck, he can make plays too." Friday night in game 3, O'Regan's slapshot from the blueline with 16 seconds gave San Jose a 2-0 lead after one. While veterans Mike Angelidis and Brandon Bollig got the Heat back to even at 2-2 after two periods, the Barracuda got goals 1:26 apart late in the third period to take a 4-2 lead and essentially put the game away. Mike Kostka scored with 28 seconds left and the goalie pulled to give Stockton some faint hope, but an empty net goal came right after. After game one, Huska said he went to his No. 1 line and challenged them, telling them that he needed more. "He came up to our line after and said it's playoffs, maybe in the regular season, you can get away with being OK or being just good enough, but in the playoffs, everybody has to elevate their game and you have to be that much better," said Jankowski earlier in the week. "We really stepped up our game for game 2." 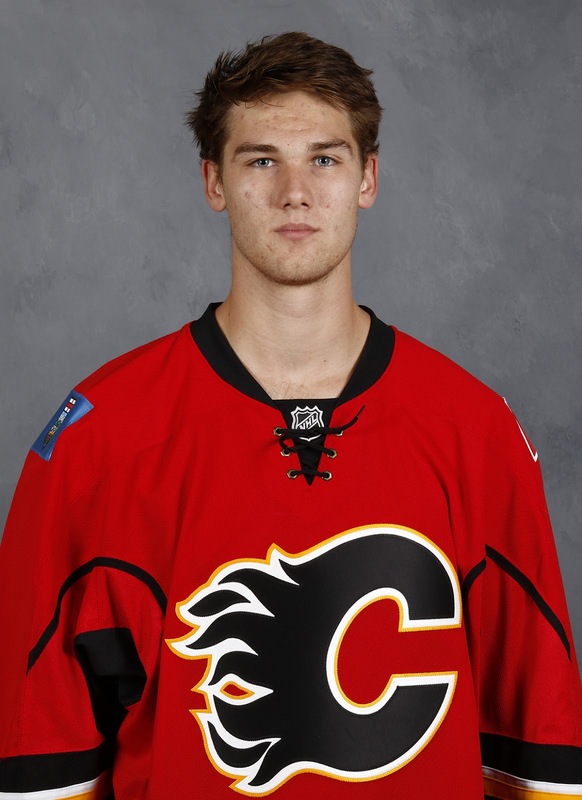 Huska has been impressed by how Jankowski takes feedback and responds to it immediately and positively. "I get to be with him every day and I'm a fan of the way he plays the game," said the coach. "He's an intelligent player and maybe my favourite part about him, you can challenge him to raise his level and I haven't been disappointed once when we've done that to him. He's always responded the right way. "We challenged him and his line to be better after game 1 and we saw that in game 2. He had three points that night and logged a lot of really heavy minutes for us in a lot of different situations. It's good to see a guy like that, when challenged, raise his level, because we're going to need him to continue to do that along the way for us to have the success we want." 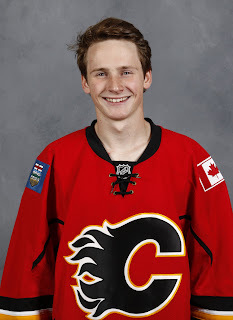 Finishing the regular season with 27 and 20 goals respectively to finish 1-2 on the team, Jankowski and Mangiapane became the first pair of Calgary AHL rookies to reach the 20-goal mark since Matthew Lombardi and Chuck Kobasew did so with the Saint John Flames in 2002-03. For what it's worth, Lombardi and Kobasew went on to log over 1,100 combined NHL games. Playing alongside Rasmus Andersson in the team's top four, Kulak is embracing the opportunity to play in some intense post-season hockey. "It's playoffs, it's do or die so you want to leave everything on the ice. If you get knocked out, there's all summer to repair yourself," Kulak said. "Everyone seems to find some extra adrenaline. The pace of game and intensity picks up at this time of year." 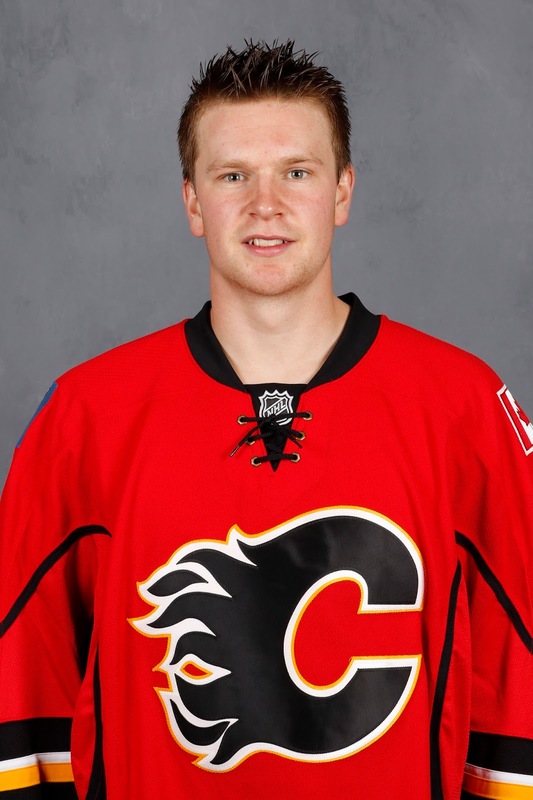 Kulak is well aware there are changes coming this summer to the Flames blue line. "There will be a lot of opportunity going into next year's camp and I'm excited about it. You just have to continue to work hard up until that time comes and everything will fall into place," said the 23-year-old, who got into 21 games with Calgary this season. He noted that right now is a great chance to get a jump start on trying to secure one of those jobs that could be available. It's worth noting that in 2017-18, Kulak will also be waiver eligible so he can no longer be shuttled back and forth from the minors without being put on waivers and made available to the rest of the league. "With Calgary out now, there will be extra eyes watching us," said Kulak, who isn't wrong. In addition to assistant GM Brad Pascall who is a regular spectator, president of hockey operations Brian Burke and general manager Brad Treliving have also stopped by. "Every management team likes winners so the deeper we go in playoffs, the better it is for everyone." Stockton is trying to give the Flames organization its first AHL playoff series win since the Abbotsford Heat defeated the Milwaukee Admirals 4-1 in 2012. That team under the guidance of coach Troy Ward featured Paul Byron, Krys Kolanos, Greg Nemisz, Roman Horak and Leland Irving. Byron and a lot of meh reflects the sordid state of the organization's prospect cupboard at that time under GM Darryl Sutter. The last playoff series win before that was in 2010, a team that Mikael Backlund was a part of. The other key in Stockton's win last Sunday was the goaltending performance from David Rittich, who has been a really nice find since being signed away from the Czech Republic last spring. After San Jose scored three goals in less than five minutes in the second period, Huska immediately pulled Jon Gilles and inserted Rittich, who led the team during the regular season with five shutouts and a .924 save percentage. "It's not an easy spot for a goaltender to come in, they had the momentum, but he came in and like he typically always does, the way he starts games, he just loves to play," Huska said. "Once he felt the puck a few times, he got himself quickly into the zone he's been in for most of the year and he made some real big saves for us to allow us to keep that lead." Rittich stopped 11 of the 12 shots he faced to preserve the victory. "He made one save, he threw in an old school pad stack that was just phenomenal. It was a timely save. When you look at David, it doesn't really matter how he made the save. His job is to keep the puck out. Sometimes it looks funny but he doesn't care, he's going to try and do everything he can to make sure it doesn't cross that line." Generally, to enjoy success in the AHL, it requires a mix of experienced veterans and talented kids. The make-up of the Heat is no different. The aforementioned young prospects the Flames are hoping will graduate to the NHL someday are complemented by a solid core of veterans. Speaking of 2012, three current members of the Heat played that season for the Norfolk Admirals when the AHL affiliate of the Tampa Bay Lightning won the Calder Cup. Those three are 31-year-old Kostka -- picked up from Ottawa in the Curtis Lazar trade, 27-year-old Keith Aulie -- Flames fourth round pick in 2007 that re-signed with the organization in November, and Angelidis, the team's 31-year-old captain. There's also a Stanley Cup ring in the room with Bollig, the 30-year-old a familiar name for Flames fans. Bollig was a regular contributor this season, picking up 11 goals and 22 points for the Heat as the pending unrestricted free agent plays out the final year of his three-year/$3.75 million NHL deal. To have more success this weekend, Jankowski says it has to be more of the same from his team. "We need to stay on them and keep wearing them down. We're a big, heavy team and we play in-your-face hockey and we can't get away from that in this series," he said prior to game 3. "We've got to take the body and hit whenever we can. It's a long series and that will take its toll. Just get to Grosenick as much as we can. A lot of pucks and bodies to the net. Tire him out and wear him down." The injuries have opened up a spot for 19-year-old Matthew Phillips, coming off a 50-goal season with Victoria (WHL) and with the team on an amateur try-out. The 2016 sixth round pick made his AHL debut in the Heat's regular season finale against Tucson. "We knew that he was a guy that can generate some offence from his track record and the game against Tucson, he handled himself well," says Huska. "Because of that, he gave us the confidence to go to him." The one change from the first two games was inserting 6-foot-3 ex-Red Deer Rebel Kayle Doetzel for veteran Keith Aulie, who got injured in game 2 blocking a shot. Other blueline options include Kenney Morrison, who has been with the team all year, and 20-year-old Adam Ollas-Mattsson, who got into nine games with Stockton in March and April after his season ended in Sweden. "We really didn't know how he would fare when he first came over. We threw him right into the fire his first couple games and the one thing that jumps out at you is he's got really good smarts," said Huska. "His skating ability is the one knock on him, but he's got a really high hockey sense where he's able to make up for a little bit of a lack of mobility by always making the right play and always being in the right position." 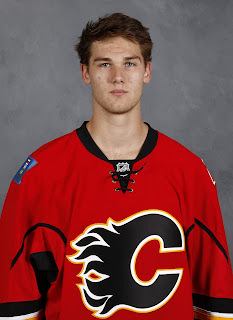 A Flames sixth round pick in 2014, Mattsson has been playing in the top men's league in Sweden. Having reached the end of his contract, he is a candidate to come over to North America to play next season. "For a guy that came into our group, not really knowing anybody, he was blocking shots his first game, he's a real competitive young man and he's a guy that we wouldn't hesitate to put in the line-up right now which I think says a lot about what he was able to come in and do for us." Huska opted to give Rittich his first playoff start on Friday night. After getting beaten twice in the first period, he was perfect on 13 shots faced in the second, but the Barracuda beat him twice late in the third before adding an empty netter. Rittich was credited with 28 saves. "I don't think we can go wrong with whoever gets the start for us, but it is nice to know that if someone does have an off night, you have a guy coming in that can turn the tide of a game," said Huska. "We've been fortunate this year to have two really good goaltenders that we've had at our disposal all year." With the season on the line, I wouldn't be surprised to see Huska go back to Gillies for game 4 on Sunday. Change, as they say, is the only constant. Welcome to the business side of operating an NHL team. If you have a successful season and post positive results, change is necessary because within your budget, you cannot afford to keep all your workers. Some that have earned raises with their performances will end up switching workplaces. If your season doesn't go so well, change is necessary because you want to address any shortcomings. Inevitably, performance reviews will result in some contractors not being brought back. So how much change should we expect from the Calgary Flames after a season in 2016-17 that started off disappointing, went through long stretches of tremendous success, before ending disappointingly? Is there a normal number of changes? Sticking with Calgary, I went back over the last five years to see from one season to the next, how many of the team's regulars or at least semi-regulars ended up not back with the team the following year. What I learned is at minimum, at least five notable players have moved on annually. This number topped out at a whopping 14 exits from last season's team between a busy trade deadline and a summer in which Calgary moved on from several free agents. For the purpose of this research, note that I define 'notable' as skaters that appeared in at least 15 games for Calgary and goalies that played in at least 10 games. I'll also add that last year's departed included two unique situations of players that didn't leave the organization, but were no longer on the NHL team. Prior to the start of this season, Ladislav Smid was placed on LTIR for the year and the team chose to also bury Brandon Bollig and his one-way contract in the AHL for the season. I include them though because that's in the spirit of the type of change we're talking about -- on the NHL team one season and then not the next season. 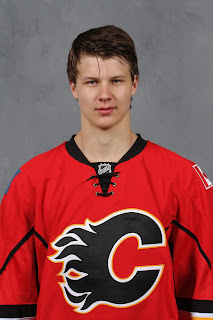 As noted, we know there will be at least one player in a new uniform for next season because that player is already gone -- Jyrki Jokipakka was shipped to Ottawa at the trade deadline. But who else has played their last game in the Flaming 'C'? Here are a dozen players from the organization in which there seems to be the most speculation. With each, I've included why I think they will or won't be back. 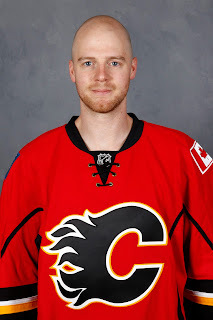 For a stretch of two-plus months starting Jan. 26 with a 3-2 overtime win in Ottawa, Elliott finally looked like the goalie the Flames were expected all along when they acquired him from St. Louis back in June. Winning 11 consecutive games at one point, he regained the starter's job he had lost before Christmas and put up some superb numbers. He was particularly sharp in March, which has been a pattern throughout his career. But then the playoffs happened. In game two in Anaheim, it was two shaky goals allowed in the first seven minutes that put Calgary on its heels. Back home, all of game three was rough. As the Flames blew a 4-1 lead, the worst of the bunch was the soft goal that kickstarted the comeback from a sharp angle late in the second. After that shaky outing, there was uncertainty he'd even get the game four start. He did, but proof that any trust was gone, he was immediately pulled after the Ducks took a 1-0 lead on another bad goal. Three shots faced, just 5:38 into the game, Elliott was yanked. He wore his mask on the bench the rest of the first period. While he gave the Flames some great goaltending in stretches, that playoff performance that contributed to Calgary begin swept in a series in which you could argue they outplayed Anaheim, has surely left a bitter aftertaste for the front office. Should Calgary re-sign Elliott and face the Ducks in the playoffs again next year, where would the team's confidence be at? He's played Anaheim 16 times in his career and beaten them once -- and that was in his first game against them in 2009. Unless: Plans for UFA Ben Bishop and any other available established goaltenders (e.g. Marc-Andre Fleury) fall through and the team ends up putting public furore aside and bringing back Elliott. But you know the team likes Bishop as he was their plan 'A' last June. In talking on Friday about the players that helped the team turn around its season in November, coach Glen Gulutzan mentioned Troy Brouwer's name among a few other veterans. Wearing an 'A', which he was given shortly after being signed, he is entrenched as part of this team's leadership group. Those type of qualities were expected from him. However, also expected was a far greater impact on the ice. When they signed him last July 1, I'm pretty certain there more visions of him playing right wing in the top six rather than on the fourth line, which is where he finished the season and spent the playoffs. In physical games down the stretch against the likes of the Kings and Anaheim, he did not have nearly the impact I expected. Never mind goals, just use your size to lead the push-back. But you rarely saw the physicality and edge that were supposed to be included in the package. He will be exposed in the expansion draft where one wonders if Vegas GM George McPhee will 'jump' at the opportunity (while perhaps being coaxed by Brad Treliving with the offering of a prospect as added incentive) to bring in a guy he traded for in 2011 when GM of the Washington Capitals. 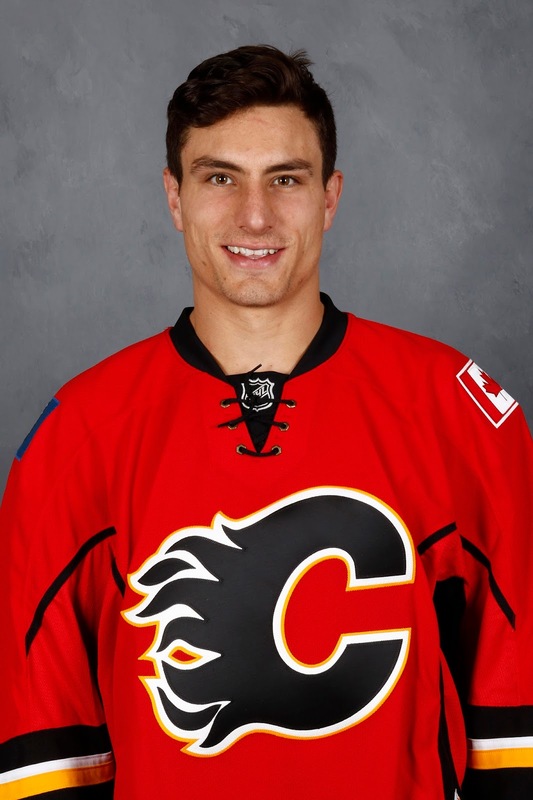 He acquired Brouwer from the Chicago Blackhawks for many of the same reasons Calgary signed him as a free agent on July 1. But he was turning 26 then. Now he'll be turning 32. But leadership will be needed in Vegas as they try to hit the casino floor running. They'll also need some big contracts to reach the salary cap floor. While three years left is a lot, there are more frightening terms out there. What I'm not putting any stock into was Brouwer on Friday declaring that Calgary was his home. We knew that. 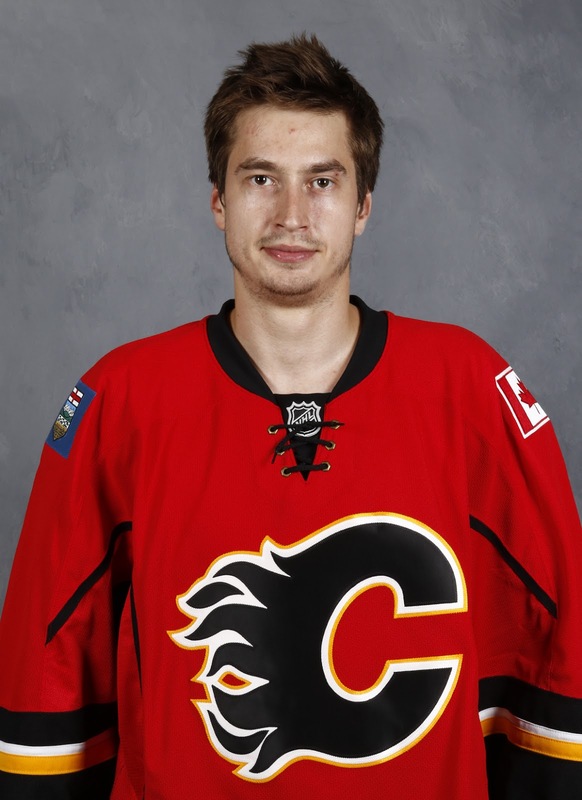 He was already building a house in Calgary when the Flames signed him. It may be his home alright, but his off-season home. Unless: McPhee opts to select someone else from Calgary in the expansion draft due to having the same concern about the state of Brouwer's game that fans have and frankly, so did Gulutzan, who was the guy who dropped him to the fourth line. 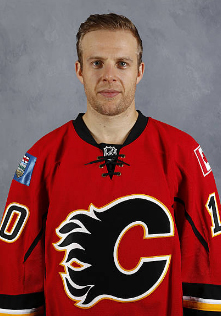 It makes you wonder how Versteeg nearly ended up out of the NHL last season. It was only when he ran into insurance issues regarding some past injuries that he ended up not signing in Switzerland. 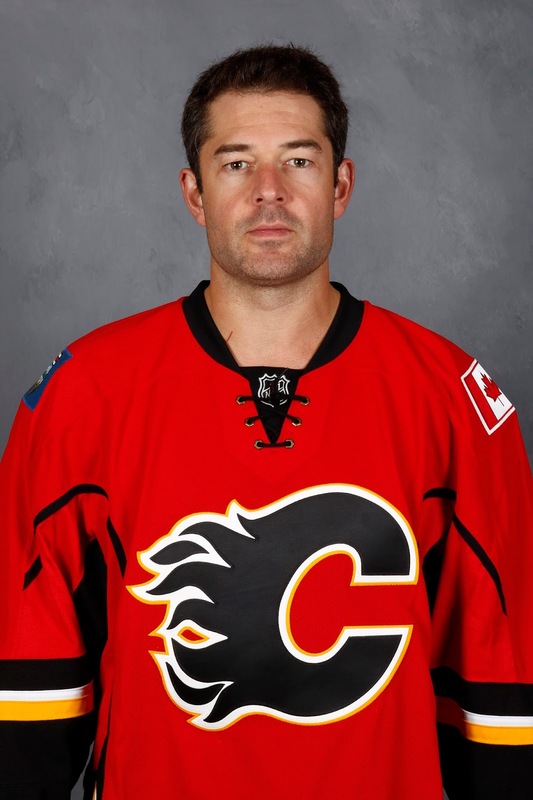 He signed a tryout with the Oilers, was poached just before the season began by Calgary, who inked him to a one-year deal, and he went out and had a terrific year. 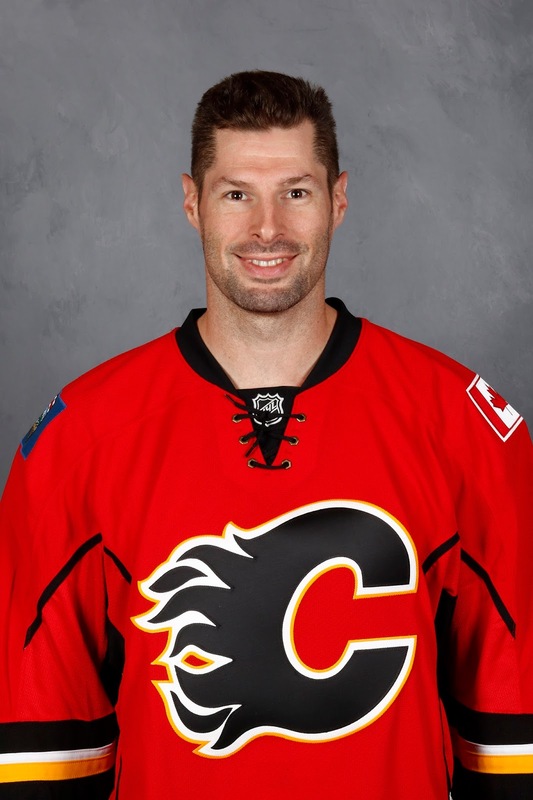 He was a key veteran in the dressing room -- he has two Stanley Cup rings -- but also a major contributor on the ice as part of the Flames No. 1 power play unit. What we know is Versteeg and his young family really enjoyed playing close to home. What we learned is there is still plenty of game left for the veteran, who will be 31 next season. Also, listening to Treliving talk about him on Friday, it's obvious that he's a big fan also. Versteeg was pretty frank also about how much he enjoyed this season, liked playing for Mark Giordano, who he called one of the greatest leaders he's played for. He also talked glowingly about the coaching staff and about the team's bright future. He won't be as cheap as he was last year but he'll be affordable and the need is definitely there from a Flames perspective. Are there wingers in Stockton ready to be promoted into a top nine role next season? Doubtful. Signing him before the expansion draft won't make sense from a player protection perspective but perhaps shortly after. Unless: Negotiations drag and Versteeg -- looking after his family first, like last summer -- jumps at a different deal from another team in order to lock down an NHL spot and avoid being left twisting in the wind. Stone is an interesting situation as a guy that age-wise should be entering his prime and whose career was on an upwards trajectory before major knee surgery a year ago led to an off year and a perceived drop in his value. 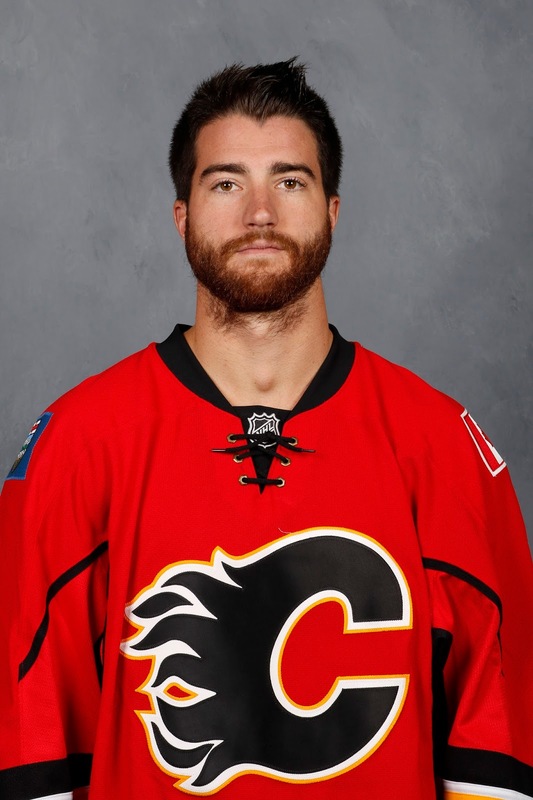 For nominal cost, his acquisition from Arizona made sense and it coincided with a red-hot run for the Flames and in particular, improved play from TJ Brodie. Once Stone replaced Dennis Wideman as his D partner, it looked like Brodie finally felt he had the freedom to play his normal, dynamic 200-foot game again knowing he had a reliable guy defensively beside him. 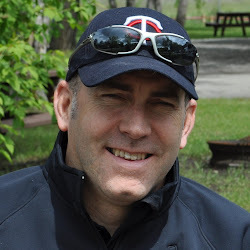 Of course, Stone has a connection to Calgary having played with the Hitmen in junior and with his wife -- who just had twins -- being from Calgary too. Plus, there's the connection to Treliving, who was in Arizona when Stone was drafted. That said, it was the 'having a more reliable D partner' part that helped Brodie. While a capable top four defenceman will be a necessity once again next year, it doesn't need to be Stone, especially if the cost to bring him back is too pricey given other needs (e.g. starting goaltender). There will be other and potentially more inexpensive options. With Brett Kulak knocking on the door, Rasmus Andersson coming soon, Oliver Kylington in the pipeline, Brandon Hickey too, do you want to go long term with a No. 4 D at a potentially hefty price tag? Remember, you already have Giordano, Brodie and Hamilton locked up and taking up a big chunk of cap space. So that's key for me, what is Stone looking for as a 27-year-old free agent (younger than most guys that hit the free market) this summer. Or are you more so looking for someone for just a couple of seasons, to keep the spot warm until one of the aforementioned kids is ready. If the latter, Stone might not be the best fit. Unless: The market isn't there for Stone and he's willing to settle for a shorter one or two-year deal for less money than he made last year. I thought it, I've written it, and on exit day, Engelland admitted it. This season was the best of his career. Coming at age 35 too. Crazy. Who knew when he signed that deal three years ago and was the fan's whipping boy for the early part of it that he would end up endearing himself to the fan base like he has. It hasn't made him a steal by any means. He's still a third pairing defenceman making close to $3 million and that's not very smart line-up construction in the salary cap world. But for what he gives the team. A physical presence that will step up for anyone, a guy that logs a lot of PK time, a good veteran presence in the room. To his credit, he's turned himself into a guy that you could certainly live with. 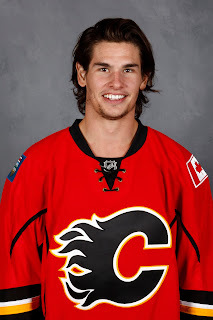 That said, if he re-signs with Calgary, it will have to be for far less. That's the reality. 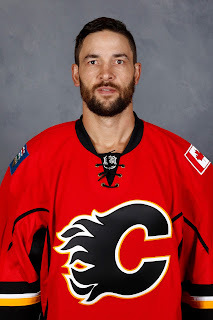 I've heard Vegas speculated as a landing spot as that's where he lives in the off-season but while that's a nice thought for Engelland, would Vegas have interest? Not sure a guy at the tail-end of his career makes the most sense for an expansion team that will inevitably be adding plenty of other veterans in the expansion draft to get to the salary cap floor. He said on Friday that Calgary would be one of his top choices and his good relationship with Gulutzan, whom he goes way back with, is surely a consideration. From a stability perspective, having him back for one more season as a veteran third pairing option would work just fine for a team that will have a few changes on the back end. Unless: He wants a two-year term and gets such an offer elsewhere. Would Calgary be willing to go two years with Engelland? Not sure that makes sense. One of the better players early in the season. When you're not in uniform as a healthy scratch when the season comes to an end, that always makes you pause for thought, but Stajan coming out of the line-up for game four versus Anaheim wasn't necessarily a reflection of him looking back but Gulutzan wanting to insert fresh legs. Sure, one available option to the team is you could buy out Stajan if you really felt he had reached the end but then you're paying him over two years. Plus, I think he still contributes enough to be a depth forward. 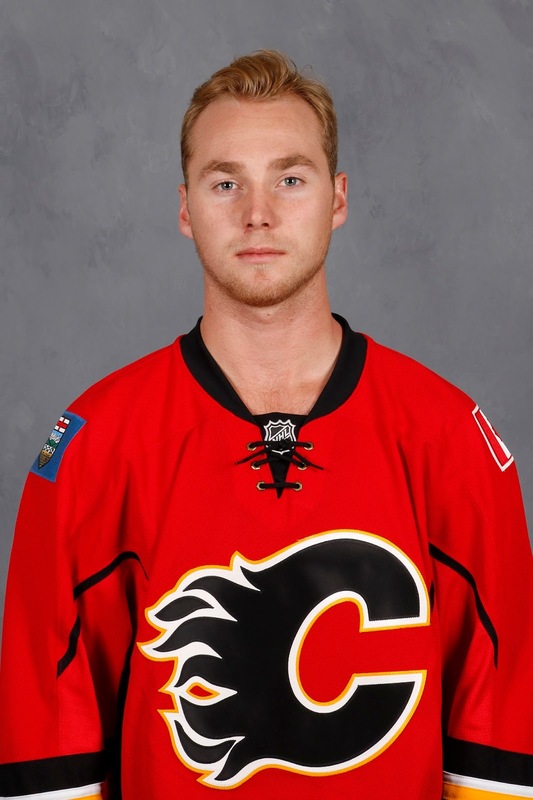 Much like Engelland, Stajan's wage doesn't jive with what you want on the fourth line in this day and age. It's just far too much money to pay somebody that is playing minimal minutes. 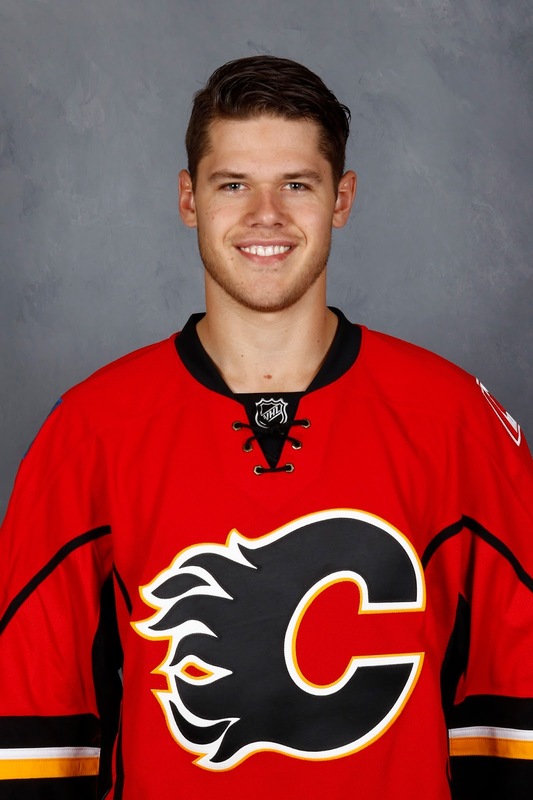 That said, you're down to one year left and he truly is a great guy to have in the room for many reasons including the youth at centre, youth which could include Curtis Lazar and Mark Jankowski next year. In his final NHL season, I'd expect him to be a great depth forward. May not play all the time, may play some wing, but is a great mentor for the many young players and a guy that's popular in the room and plays with his heart on his sleeve. 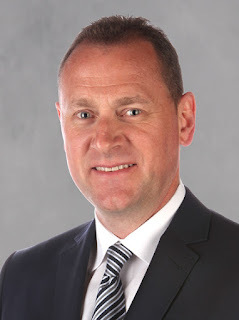 Unless: Treliving feels the $1.3 million the team would save on the 2017-18 salary cap through a buy-out would be worth the $666K penalty they'd have to incur towards the cap in 2018-19. In pursuit of an opportunity for more playing time and a shot to be a No. 1 goalie, Johnson has relocated NHL teams each of the last six summers. That has to be getting old. As someone who grew up in this city, who married a girl from Calgary, tying the knot a week before signing with the Flames last July 1, there's obviously a fit to be had for him. He's about to turn 31, he's not coming off the type of year that is going to get him a No. 1 job anywhere else so why not Calgary? When he went on a tear last November and December, he showed that he can play every day. Whether he can play 55-60 games, we may never know. 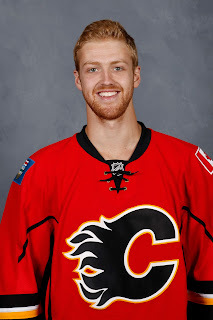 If Calgary does pursue Bishop, who has an injury history, Johnson would be a great guy to pair him with given his ability to step in and run with the ball for a few weeks if needed. Unless: With goaltending on the way, Calgary is reluctant to offer term of more than a year. If Johnson does get a two-year offer from another team, he may prefer that added security. 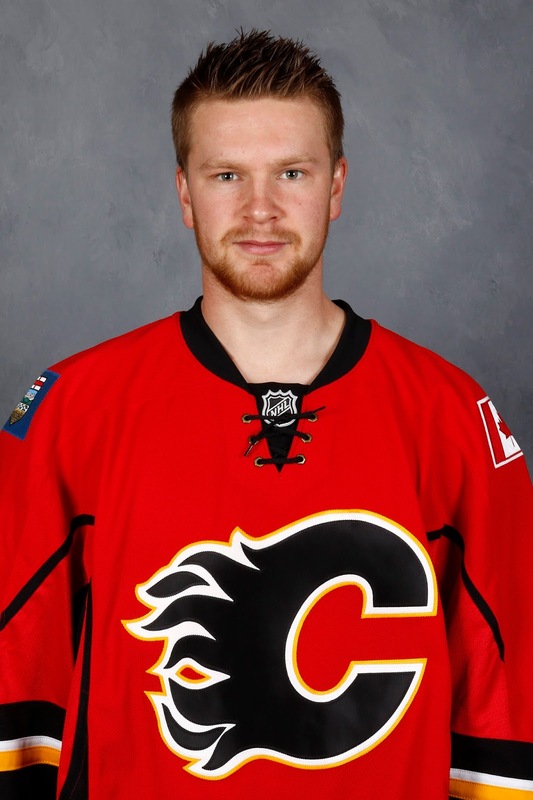 At times early in the year, Kulak looked like a guy that should be put in the line-up and kept in the line-up. A guy that could definitely play on the third pairing, who some day could evolve into a second pairing guy. He skates well enough. He can defend. He does a little bit of everything. But just as you think he's here for good, his play falters a little bit and down to the minors he goes. 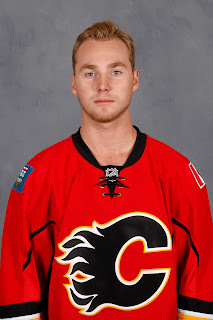 I should add though that jettisoning him to Stockton this season was easy for the Flames as he was not waiver-eligible. Next season, he will be waiver-eligible. 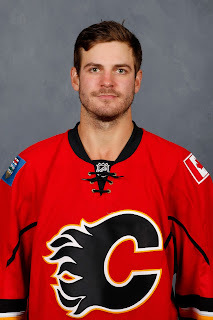 With Wideman gone, potentially Stone and Engelland both gone also, there will be spots available on the blueline. From what we've seen and how he's been used, Kulak is the most ready of any of the prospects so after a summer of potentially significant change, next year could be the season he breaks through. Unless: Vegas likes Kulak's upside too and poaches him in the expansion draft. In selecting 30 players, one from every club, not all will be experienced NHL players, Vegas will need some that are young but high on potential. He was the next in line on the blue-line for the longest time but his stock has fallen significantly since he made his NHL debut four years ago and played 14 games late in the season. 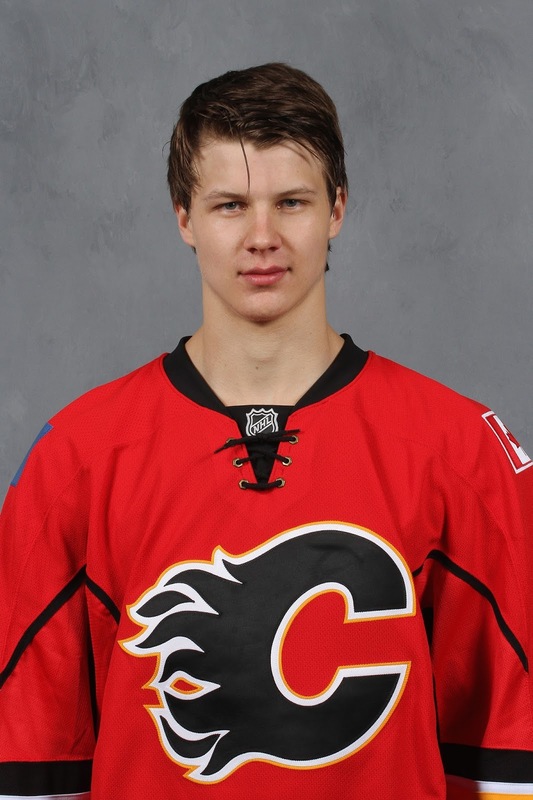 In the three seasons since, he's played only 16 NHL games and has been passed on the depth chart by guys like Kulak. Even though he continues to be deployed as one of Ryan Huska's most relied upon defenders in Stockton -- and he has reportedly had a great season -- you really do start to wonder if his time with the organization is coming to an end. Last year, he agreed to a one-year deal for near the league minimum. It was supposed to make him an affordable option and increase the odds of him sticking in the NHL this season. That never happened. He could be the Kenny Agostino of this off-season. Someone, who can definitely contribute at the AHL level but at age 24, if the organization has determined that's all he will ever do, it's time to move on and open up playing time and a contract spot for other, younger players. Unless: Calgary loses Kulak in the expansion draft and they opt to hang onto Wotherspoon for one more season as organizational depth. I've learned that two things will drive a fan crazy. The first is a player that is overpaid for what he contributes. This was not Chiasson. The second is when a player is deployed in a role that is above his skill grade. This was Chiasson and for half the season as Gulutzan -- very familiar with the player from his time coaching him in Dallas -- stubbornly kept deploying him on the No. 1 line alongside Monahan and Gaudreau. Not only was it not working, but it seemed to negatively impact the other two, who are core players on the team and never got going until Chiasson was off their line. The sweet spot for Chiasson is a bottom-six role and it was when he was used in that capacity that you finally had a useful player, who put up decent numbers with a dozen goals. 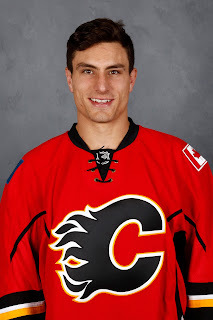 The issue for the Flames is he's arbitration eligible this off-season so Treliving is back in that Lance Bouma/Joe Colborne situation again. Given how signing Bouma didn't work out, and walking away from Colborne did work out, I'd think that if Treliving has learned anything, there's a decent chance that Chiasson is not qualified with Calgary not wanting to ante up the $1.5 or $2 million he might be awarded if you go to arbitration. Unless: Chiasson likes the set up in Calgary, enjoys playing for Gulutzan, and agrees to a deal at an affordable number to bring him back as a bottom six winger, who can kill penalties. Any hope Bouma might get back to his form from 2014-15 -- or anywhere close -- went out the window this season when Matthew Tkachuk locked up the left wing spot with dynamic duo Mikael Backlund and Michael Frolik. It was on a line with Backlund two years ago that Bouma racked up career-highs in goals (16) and points (34) that he has yet to equal if you add up all of his other five seasons. 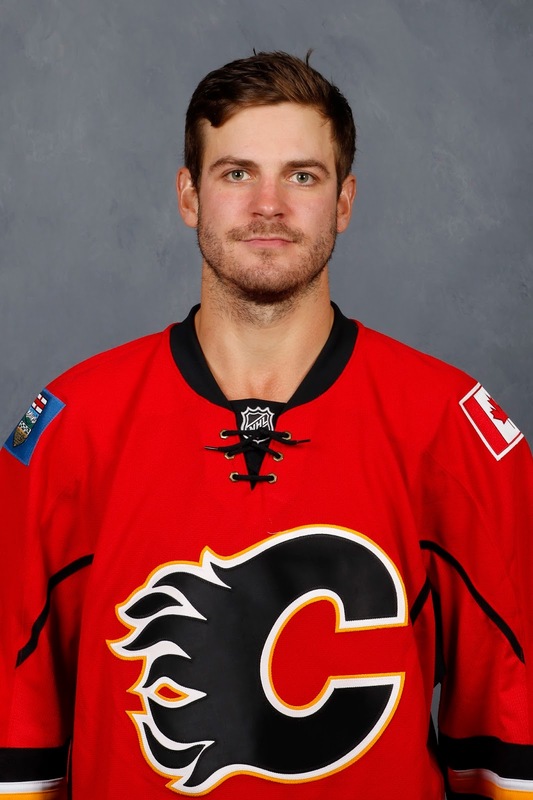 Bouma plays an energetic, physical style, who is not bad in a checking role and can give you minutes on the penalty kill. That makes him a serviceable depth player. The problem is his scoring touch has evaporated entirely. He has five goals in the last two seasons. For what he's earning, having cashed in on that one big year, you need more. That, or you want someone else in that role that can make similar or greater contributions at half the price. Versteeg, for example, made less than half of what Bouma earned last season. Unless: Treliving can work some magic and include him as part of a larger trade over the summer. The other option is a buyout, which historically Calgary has done only rarely as paying players to not play has never been something the organization has been high on. Plus, they'll still be paying $1M for Mason Raymond next season. But it's possible. It would knock Bouma's cap hit down to $666K next season with an additional $766K charged to the cap in 2018-19. 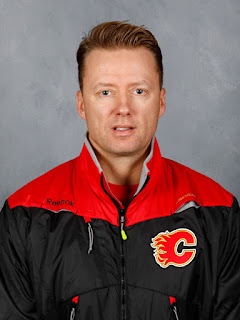 All season Gulutzan preached that he wanted his team to play fast. 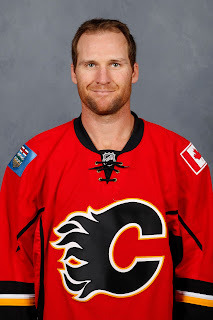 As the slowest player on the team, Wideman does not have that ability. His heavy shot is one of his best attributes, but he was not used on the power play. 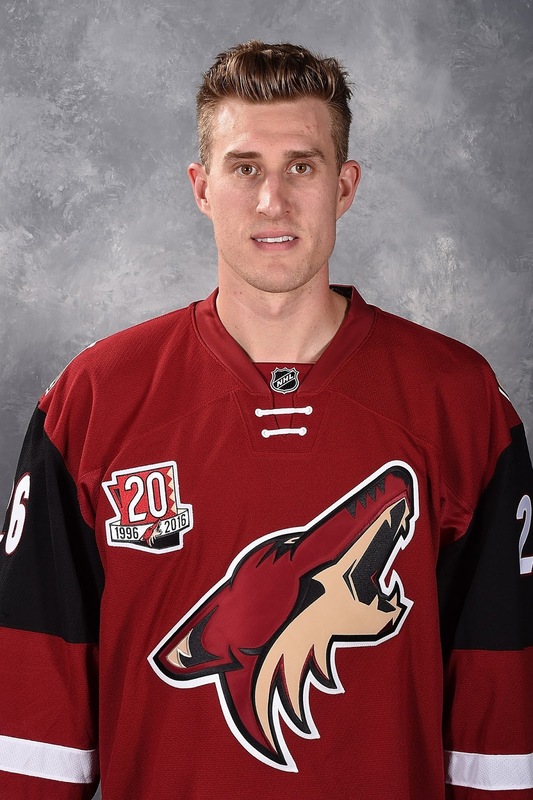 He ran out the clock on the five-year contract given to him by former GM Jay Feaster by playing on the third pairing whenever he did get in the line-up. He was a $5.25 million healthy scratch for all four playoff games and 18 of the final 23 games of the regular season. Clearing that money off the books has been a long time coming for a team that has other needs to address. Unless: Unless nothing. Now the subject of a lawsuit from linesman Don Henderson, Wideman's time in Calgary is over. So might his time in the NHL.